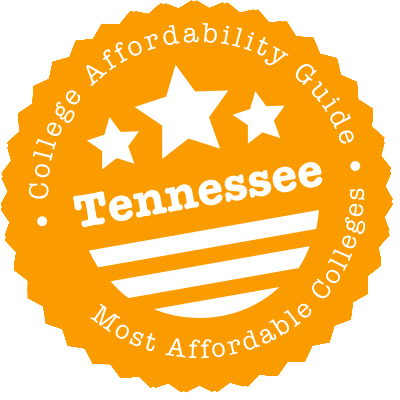 Scroll down to see our top-ranked colleges in Tennessee, loans and scholarships for Tennessee students, and advice on how to save money going to college in Tennessee. Bryan College-Dayton is a Christian college that offers 25 undergraduate majors and three graduate programs. The College provides financial aid to 95% of its students, including scholarships, grants, loans, and work-study opportunities. Incoming freshmen are eligible for the Presidential Scholarship ($12,000 to $14,000 per year), the Dean's Scholarship ($6,000 to $10,000 per year), the Director's Scholarship ($4,000 per year) and the Difference Maker Scholarship ($500 to $5,000 per year). Transfer students are eligible for the Transfer Scholarship ($2,000 to $12,000 per year), the Word of Life Scholarship ($15,000 per year) and the Phi Theta Kappa Scholarship ($2,000 per year). Need-based grant opportunities are also available, such as the Bryan Opportunity Program (full-tuition, room and board) and the Bryan Need-Based Grant. More than 10,000 students at the Tennessee Technological University have the option of pursuing one of 40 undergraduate and 20 graduate degrees across six academic disciplines. Qualified freshmen are considered for the University Academic Service Scholarship program, which awards $3,500 to $6,000 per year. Recipients have to complete 75 hours of university service. Beginning in-state students may be eligible for the Vice-President's Scholarship ($3,000 per year) or the Admissions Academic Scholarship ($1,000 to $1,500 per year). Out-of-state freshmen may be considered for the Soaring Eagle Scholarship ($8,000 per year). Students from under-represented groups may be eligible for the Golden Eagle Excellence Scholarship ($2,500 per year). Thirty-eight percent of students received an average Pell Grant award of $4,140 for the 2013-2014 academic year. Founded in 1911 as a teacher's training college, Middle Tennessee State University in Murfreesboro, Tennessee currently offers more than 80 degree programs. Incoming freshmen are automatically considered for MTSU Freshman Academic Merit Scholarships, including the $6,000 per year National Merit/Achievement/Hispanic Scholarship, the $5,000 per year Chancellor Scholarship, the $4,000 per year Presidential Scholarship and the $3,000 per year True Blue Scholarship. Students admitted into the MTSU Honors College are eligible for the Buchanan Fellowship, which provides a full-tuition scholarship, among other benefits. Transfer students are automatically considered for MTSU Transfer Academic Scholarships, which range from $1,000 to $3,000 per year. Transfer students can also apply for other scholarship opportunities, including the $7,000 per year Honors Transfer Fellowship. Maryville College takes advantage of its location near the Great Smoky Mountains to offers students both academic credit and financial support for taking part in or helping with outdoor events, known as the Mountain Challenge. The 200-year-old, Presbyterian school awards financial aid to about 97 percent of all students, including scholarships that recognize academic achievements, leadership, and talent. The school's focus on volunteer service also provides avenues for students to finance their studies. The Maryville College Center for Campus Ministry offers scholarships that are tied to volunteerism. The Bonner Scholarship provides $2,500 annually plus need-based grants in exchange for community service. The Bradford Scholarship provides $4,000 per year for students who help in adult literacy projects. By helping to manage the U.S. Department of Energy's Oak Ridge National Laboratory, the University of Tennessee Knoxville continues to strengthen its long-term commitment to education and research. Entering freshmen with outstanding academic record are eligible for the Volunteer Scholarship. Award amounts range from $3,000 to $8,000 each year for in-state freshmen and from $10,000 to $18,000 each year for out-of-state students. Entering in-state freshmen with a family income of less than $40,000/year may be considered for the Tennessee Pledge Scholarship, which covers a student's direct costs for attending UTK - tuition, fees, and on-campus room and board. Finalists in the National Merit and National Achievement competitions who name UTK as their first-choice university may qualify for the Provost Scholarship ($2,000/year). Carson-Newman University was named a "Great School at a Great Price" in the 2017 U.S. News and World Report rankings, which listed it in the top 15 regional universities in the South. The Christian liberal arts school offers more than 50 undergraduate majors as well as master's degrees in business, counseling, education, and nursing. Students are eligible for a wide range of merit scholarships as well as scholarships for student performers and athletes. The college has about 2,500 students, and about 20 percent of them are in work-study positions. Now that Pell Grants will be available for summer school, Carson-Newman has programs that allow students in certain fields to earn their degree in three years, including summer sessions. Freed-Hardeman University is a Christian institution that grants both undergraduate and graduate degrees. The University provides institutional aid in the form of grants or scholarships to 100% of full-time beginning undergraduates. Institutional scholarships for undergraduates include Merit Scholarships (up to $14,000 per year), the Trustees' Scholarship ($17,500 per year) and the Honors Scholarship (stackable with the Trustees' Scholarship for a total award of $21,500 per year). The University also offers tuition discounts of up to $5,000 to students from certain school districts and students who are children of full-time Church of Christ pulpit or youth ministers. Additionally, the University will match any scholarship awarded by a Church of Christ, with a limit up to $5,000. Graduate students are eligible for federal loans and can participate in the University's interest-free monthly tuition payment plan. Tennessee is a pretty good place to go hunting for an affordable college education. With a bit of luck, you can have your pick of the University of Tennessee Knoxville (UTK), public schools and a smattering of smaller colleges. Need-based and merit-based state financial aid is available for Tennessee residents, including the well-known HOPE Scholarship. Generous loan forgiveness programs for teachers and nurses are also up for grabs. Start planning a cheaper degree now! Tennessee college students typically don’t have any trouble transferring college credits between public institutions in the state. Tennessee has a transferable general education core with common course numbering, as well as statewide guaranteed transfer of associate’s degrees. There’s also a statewide articulation guide, the Tennessee Transfer Pathway, that highlights guaranteed transfer pathways for Tennessee college students. Students may also earn an associate’s degree through reverse transfer. Tennessee has a common transferable core. This core has 41 hours of general education that applies to any course of study, as well as 19 hours of pre-major instruction, or courses that can count as elective. The 41 hour lower division core can transfer as a block and fully satisfy the general education core requirements for public colleges and universities in Tennessee. Courses in this block will have common course numbering to facilitate transfer. Students with an associate of science or an associate of arts from a Tennessee community college will be able to transfer their coursework to a four year university degree. With an associate’s degree, students will have met all general education core requirements and will transfer in with junior status. Tennessee students can find transfer pathways to facilitate planning. These pathways are available by campus or by major, and can help students plan their degree coursework prior to transferring. Additionally, students participating in a Tennessee transfer pathway will typically be guaranteed admission, except for some specific universities and programs. Students who have not yet completed an associate’s degree, but who began their courses at a two year institution in Tennessee may be eligible for a reverse transfer pathway. With a reverse transfer, students can apply credits from both a two year and four year institution to earn an associate’s degree. The Tennessee Higher Education Commission (THEC) is the state’s coordinating agency for higher education. However, like many agencies, it has created a separate resource for students and parents called the Tennessee Student Assistance Corporation (TSAC). THEC has general info on affordable higher education programs (e.g. fee waivers, P-16 initiatives, the Academic Common Market, etc.). TSAC has targeted info on financial aid, including applications for state grants and scholarships, a guide to the FAFSA, helpful financial aid links and access to the TSAC Student Portal. We recommend a visit to both websites. While you’re in the planning stage, you can also have a look at CollegeforTN.org. Run by THEC, this website is stuffed with free college and career exploration tools. Adult learners can check out Tennessee Reconnect. It has advice on going to college for the first time, applying as a veteran and/or returning to school to finish a degree. help parents and students through the entire college application process. A huge amount of Tennessee state financial aid relies on FAFSA info, so make sure you file it as early as possible. Summary: This grant is intended to help Tennessee residents (i.e. independent students) who want to finish an associate degree at a Tennessee community college. Annual award amounts vary. The total depends on available funds and the amount of remaining tuition & mandatory fees after gift aid (e.g. scholarships & grants) has been applied. See the Community College Reconnect Grant webpage for more details. How to Apply: File your FAFSA. You must be classified as an independent student on the form. For the first two college courses, students can receive up to $500. For Course #3, students can receive up to $200. There is no award for Course #4. For Courses #5-8, students can receive up to $100 per credit hour. There are further requirements regarding home school, selective service, loan defaults, the HOPE Scholarship and admissions criteria. See the Dual Enrollment Grant webpage for more details. How to Apply: Complete the online Dual Enrollment Grant Application through the TSAC Student Portal. Summary: This is a need-based and merit-based grant awarded to Tennessee residents who do not meet the minimum HOPE Scholarship requirements. Students must be enrolled in an eligible public or private institution. At four-year institutions, applicants can receive up to $1,250 per full-time semester (including summer). At two-year institutions, applicants can receive up to $875 per full-time semester (including summer). There are further requirements regarding TN eligible high schools and the ACT exam. See the Tennessee HOPE Access Grant webpage for more details. How to Apply: File your FAFSA as soon as possible and list an eligible institution as your first choice. Summary: This grant is available to Tennessee foster children attending an eligible two-year or four-year postsecondary institution. That list includes both public and independent institutions. Students can apply for the grant up to four years after the date of high school graduation (or equivalent). The grant covers the cost of attendance (COA) less any gift aid (e.g. scholarship & grants) for up to six years. However, the total grant cannot exceed the cost of tuition and mandatory fees for a public institution. See the Tennessee HOPE Foster Child Tuition Grant webpage for more details. How to Apply: File your FAFSA and list an eligible institution as your first choice. You’ll also need to provide TSAC with official certification from the Department of Children’s Services that proves you meet the foster child eligibility requirements. Contact TSAC for more information. Summary: TSAA is a need-based grant awarded to Tennessee residents enrolled in an undergraduate program (at least half-time) at a public or eligible non-public postsecondary institution in Tennessee. Browse the list of TSAA Eligible Institutions. Award amounts vary depending on the institution and your FAFSA information. The maximum annual grant is $4,000 for a private university, $2,000 for a four-year public university, $1,300 for a two-year public, $2,000 for a career school and $1,000 for a TN College of Applied Technology. There are further requirements regarding academic progress and loan defaults. See the TSAA webpage for more details. How to Apply: File your FAFSA as soon as possible (grants are awarded on a first-come, first-served basis) and list a TSAA eligible institution as your first choice. Summary: All Tennessee residents enrolled in a certificate or diploma program at a Tennessee College of Applied Technology are eligible for this grant. However, applicants must file a FAFSA in order to be considered. The maximum award amount is $2,000 (i.e. no more than the cost of attendance). Students who complete a diploma (at least 900 clock hours) may also be eligible to receive a HOPE Scholarship. How to Apply: File your FAFSA and list an eligible institution as your first choice. Summary: This need-based award is intended to help low-income students supplement funds they receive from the HOPE Scholarship. At four-year institutions, the maximum award amount is $750 per semester, including summer. At two-year institutions, it’s $250 per semester, including summer. How to Apply: File your FAFSA and list an eligible HOPE Scholarship institution as your first choice. Summary: This one-time scholarship is available to rising college juniors enrolled full-time in a teacher education program at an accredited Tennessee postsecondary institution. The scholarship is $500 and is not renewable. How to Apply: Complete the Christa McAulliffe Scholarship Application through the TSAC Student Portal. You’ll need to submit your official college transcript and ACT/SAT score. Summary: This scholarship is awarded to dependents of a Tennessee law enforcement officer, fireman, or an emergency medical service technician who has been killed or totally and permanently disabled while performing his/her duties. It can be used for full-time undergraduate study or vocational studies at an eligible Tennessee institution. Award amounts are based on financial need and are renewable for a total of four years. Students must maintain satisfactory academic progress to remain eligible. How to Apply: File your FAFSA and complete the Dependent Children Scholarship Program Application through the TSAC Student Portal. You’ll have to provide documentation that proves your parents was killed or permanently disabled while performing his/her duties. Summary: GAMS is a merit-based award that helps extremely high achievers supplement funds they receive from the HOPE scholarship. Applicants can only apply directly after high school. If students are eligible for both GAMS and the Aspire Award, they’ll receive the Aspire Award. The maximum award amount is $1,500 divided evenly between fall, spring and summer semesters. Awards for part-time students are prorated. How to Apply: File your FAFSA and list an eligible HOPE Scholarship institution as your first choice. Because schools don’t report a final high school GPA until June, GAMSs are typically awarded in July. Summary: This merit-based scholarship is awarded to high-achieving Tennessee residents who plan to pursue full-time undergraduate studies in Tennessee. Only seniors starting their last semester in high school may apply. The award is $6,000 per academic year—$3,000 from the State of Tennessee and $3,000 from the college or university attended. Awards are renewable for a total of four years, but students maintain a cumulative 3.2 GPA during college to remain eligible. How to Apply: Complete the Ned McWherter Scholars Program Application through the TSAC Student Portal. Summary: Like the Community College Reconnect Grant, this scholarship is targeted at independent students. However, this scholarship is for applicants who wish to pursue a certificate or diploma at a Tennessee College of Applied Technology (TCAT). The scholarship helps pay for tuition & mandatory fees at a TCAT. The award amount varies based on amount of remaining after all other gift aid has first been applied. How to Apply: File your FAFSA and list a TCAT as your first choice. You must be classified as an independent student on the form. Summary: This merit-based scholarship is available to high-achieving Tennessee residents who wish to pursue undergraduate programs at an eligible two-year or four-year institution. The scholarship is renewable for up to five years provided that students meet GPA benchmarks. The maximum award amount for four-year institutions and two-year institutions with on-campus housing is $1,750 per full-time semester (freshmen and sophomore years) and $2,250 per full-time semester (junior and senior years). The maximum for two-year institutions with no campus housing is $1,500 per full-time semester. There are various criteria for renewal and termination, and further requirements regarding TN eligible high schools, home school graduates, GED & HiSET recipients and the ACT exam. See the Tennessee HOPE Scholarship webpage for more details. Summary: Since the HOPE Scholarship is only available to recent high school graduates, Tennessee also offers a merit-based and need-based scholarship to nontraditional students (i.e. adult learners). Eligible applicants must be pursuing an undergraduate program at an eligible two-year or four-year institution and meet certain GPA benchmarks. There are various criteria for renewal and termination. See the Tennessee HOPE Scholarship – Nontraditional webpage for more details. Summary: This scholarship provides two years of full-time, tuition-free attendance at a postsecondary institution in Tennessee. Eligible institutions include 13 state community colleges, 27 colleges of applied technology and a number of other schools offering associate degree programs. The scholarship pays for tuition & fees that are not covered by the Pell Grant, HOPE Scholarship or state student assistance funds. Mentoring is also included. How to Apply: File your FAFSA and complete the Tennessee Promise Application through the TSAC Student Portal. Summary: STEP UP is awarded to students with intellectual disabilities who have completed high school and plan to pursue an individualized program of study of up to four years at an eligible postsecondary institution. The program goes by different names at different universities (e.g. TigerLIFE, UT FUTURE, etc.). The scholarship awards students up to $1,750 per semester. The award is renewable until the student completes the program. How to Apply: File your FAFSA and complete the separate STEP UP Scholarship Application. Summary: This program is aimed at registered nurses who wish to become nursing teachers and administrators in Tennessee. Participants must be Tennessee residents enrolled in an NLNAC- or CCNE-approved graduate program at an eligible Tennessee institution. To have the loan forgiven, students must work in a nursing education program (faculty or administration) at a Tennessee college or university—one year of full-time work for each year of the award. Students can receive up to $7,000 per academic year for up to four years. If they fail to complete their degree or don’t fulfill their promise of employment the award converts to a loan. Interest accrues at 9% from the date of each disbursement. How to Apply: Complete the Graduate Nursing Loan Forgiveness Program Application through the TSAC Student Portal. Summary: This program is available to minority high school seniors and continuing college students who wish to gain teacher certification at an eligible Tennessee institution. In return for an annual education award, students must agree to teach PreK-12 in a Tennessee public school—one year of full-time work for each year of the award. Students are eligible to receive $5,000 per year for up to four years of full-time study. If they fail to complete their degree or don’t fulfill their promise to teach, the award converts to a loan. Interest accrues at 9% from the date of each disbursement. How to Apply: Complete the Minority Teaching Fellows Program Application through the TSAC Student Portal. As well as transcripts, you will need recommendations from a school official and from a person in your community. Summary: This program is targeted at Tennessee public school teachers seeking an advanced degree in a math or a science or a certification to teach a math or a science at an eligible institution. In return for an annual education award, students must agree to teach in a Tennessee public school—two years of teaching for each year of the award. Students are eligible to receive $2,000 per academic year; the total amount of an award cannot exceed $10,000. If they fail to complete their degree or don’t fulfill their promise to teach, the award converts to a loan, with interest, that must be repaid. This loan forgiveness program does not include re-certification courses. How to Apply: Complete the Tennessee Math and Science Teacher Loan Forgiveness Program Application through the TSAC Student Portal. Summary: This forgivable loan program is available to college juniors, seniors and post-baccalaureate candidates admitted to a teacher education program in a Tennessee college or university. In return for an annual education award, students must agree to teach PreK-12 in a Tennessee public school—one year of full-time work for each year of the award. Students are eligible to receive $5,000 per year. If they fail to complete their degree or don’t fulfill their promise to teach, the award converts to a loan. Interest accrues at 9% from the date of each disbursement. How to Apply: Complete the Tennessee Teaching Scholars Program Application through the TSAC Student Portal. As well as transcripts and test score documentation, you will need a letter of recommendation from an official of a state-approved teaching education program. Summary: This grant is awarded to Tennessee veterans of the U.S. Armed Forces or former/current members of a reserve or Tennessee National Guard unit who were called into active military service for the U.S. Eligible applicants can receive money for undergraduate studies at an eligible two-year or four-year institution. The maximum award amount is $1,000 per semester for students who complete twelve or more semester hours with no failing grades. Students who complete six to eleven semester hours can receive $500. Be an honorably discharged veteran of the U.S. Armed Forces or a former/current member of a reserve or Tennessee National Guard unit who was called into active military service for the U.S. There are further requirements regarding loans, incarceration and financial aid. See the Helping Heroes Grant webpage for more details. How to Apply: Complete the Helping Heroes Grant Application through the TSAC Student Portal. You will also need to mail or fax your DD-214 to TSAC. Contact TSAC for more information. Contact the Tennessee Department of Veterans Services (DVS) for more info on federal programs (e.g. GI Bill, Vocational Rehabilitation, etc.) and help with applying for college. THEC also has a useful section on Veterans Education. College is seldom cheap, especially for working class households. If you’re wrestling with basic bills, Tennessee’s Department of Human Services (DHS) may be able to help. You probably already know about programs like SNAP (food stamps), but the DHS can also assist with child care and education. For example, the DHS’s Families First program offers transportation, child care assistance, education, job training, employment activities and other support services to needy families. In need of a roof over your head? The Tennessee Housing Development Agency (THDA) works with various partners to provide housing for low-income families, funding for immediate energy needs (LIHEAP), services for residents who currently homeless or at risk of becoming homeless (ESG Program) and more. The Memphis Housing Authority (MHA) also supplies low-income housing. Don’t qualify for any state programs? Call 2-1-1 or visit the website of 211 Tennessee. 211 is a free community service helpline. 211 operators will listen to your issue (e.g. utility assistance, transportation, food, rent assistance, etc.) and give you contact information for helpful agencies and non-profit organizations in your area. Another option is to talk to someone at your local Community Action Agency (CAA). CAAs provide both short-term and long-term assistance to residents. On-campus housing is a personal choice. On the plus side, you’re not paying for commuting costs or utilities, rooms are usually furnished and buildings are up-to-code (i.e. the plumbing works). On the downside, you may be locked into hefty prices. Housing rates at Vanderbilt’s residence halls can be pricey. To get a better sense of the total cost, try the budget calculators on MappingYourFuture.org and CalcXML.com. These let you compare on-campus prices (meal plans, dorm fees, etc.) with off-campus bills (groceries, utilities, etc.). It also pays to remember that some Tennessee schools have limited off-campus options (e.g. Sewanee) and others have a housing requirement. For example, both Belmont University and Union University require all unmarried, full-time, undergraduate students to live on campus. Check with your school for info on current rates & requirements. To save money, a lot of low-income students share a dorm room with multiple roommates and opt for the lowest price meal plan. Worried that your financial aid package doesn’t cover room & board? Talk to your high school guidance counselor, someone at your college’s Financial Aid Office and/or your university’s housing coordinator about your options. You may be eligible for work-study programs (e.g. Tennessee Wesleyan Work Scholarship) and grants that cover housing. UTK, Bryan College and Sewanee offer freshman scholarships that cover room & board; Tennessee Tech’s Vice Presidents’ Scholarship (Residential Scholarship) provides a generous allowance for housing over four years. Once you start investigating affordable Tennessee colleges, you may discover that some of them are viewed as commuter schools—universities with little or no campus housing. Most UM and MTSU students live away from the university. So make sure you look up rent prices in neighborhoods around these kinds of schools. Believe it or not, one place to start searching for a cheap apartment is the housing section of your university’s website. Many schools do their best to help commuter students find a place. For example, UTK and UM have teamed up with Off Campus Partners to provide separate housing websites. ETSU has an Off-Campus Housing Service in the A.C.T.S. Office. When in doubt, talk to the housing coordinator. And you can explore Craigslist postings and local rental sites (just beware of scams). Some sites (e.g. RentUTK.com) are focused on one university. Other sites (e.g. CampusRent.com, ApartmentGuide.com and MyApartmentMap.com) will allow you to target affordable housing listings around your specific school. If you run out of options, HUD.gov has contact info for organizations in Tennessee that offer shelter and emergency housing to the homeless; you can cross-check this list with the Tennessee Homeless Shelter Directory from HomelessShelterDirectory.org. Before you put your signature on any lease, find out what utilities you need to cover (e.g. electricity, heat, water, etc.). If don’t know how much to set aside for utilities, ask your prospective landlord for a monthly estimate. You may also want to talk to former renters. Also, be sure you have a written agreement with your roommates about paying for expenses —you don’t want to have late payments on a utility bill in your name. Struggling with bill payments? Not eligible for state & federal programs (e.g. LIHEAP) from THDA and its partners? Many Tennessee utility companies have their own support networks for low-income customers. For instance, Memphis Light, Gas and Water has a long list of assistance programs, including staggered billing. Appalachian Power has a Neighbor-to-Neighbor fund to help customers pay for electric bills. Don’t be afraid to call the company for details. The closest branch of the Salvation Army will also have information on utility assistance programs in your neighborhood. Practically all Tennessee schools, even community colleges, have an on-campus medical center that provides free or low-cost healthcare. This is funded by mandatory fees, so you should feel free to use it! Big schools tend to have more services—UTK’s Student Health Center has a radiology department, a surgery clinic, a physical therapy center and more—but even the smallest college can usually help with things like immunizations, contraceptives, STDs and basic primary care. A lot of centers now deal with mental health issues. If you can’t get care at your student health center, HUD.gov has a list of Tennessee organizations that can help you find free or low-cost healthcare. FreeClinicDirectory.org and NeedyMeds.org also have directories of affordable community clinics and healthcare centers. Many of these clinics are willing to treat mental health problems, but you can also search for Mental Health Services on the DMHSAS website. When you need help now, the Mental Health Crisis/Suicide hotline is 1-800-273-8255. Locating cheap dental care requires a bit more research. One popular tactic is to try a dental school. Because schools are training student dentists, they’re usually willing to offer lower rates to patients. For example, fees at the UTHSC College of Dentistry in Memphis and the Meharry School of Dentistry are typically less than private practice. Meanwhile, the TSU Dental Hygiene Clinic offers free dental screenings and cheap basic cleanings. Alternatively, you can search for free or low-cost dental clinics on FreeDentalCare.us: Tennessee. Affordable child care is often the #1 barrier to college. A number of Tennessee schools—including state universities, community colleges and UT campuses—have campus daycare facilities, but it pays to apply early. While you’re there, ask if your university offers financial assistance to low-income student parents. For instance, MTSU has an AAIA Displaced Homemaker Scholarship, with funds that can be used to assist with child care, transportation and basic living expenses. Nothing on campus? The DHS has online Child Care Locator tools and a list of helpful resources for parents. You may also wish to see if you qualify for the DHS’s Child Care Certificate Program. This provides child care subsidies to (very) low-income families involved in the DHS’s Families First program. Transportation costs will depend on your personal situation. If you’re dealing with kids, working multiple jobs, or commuting to a rural campus, a car is obviously going to be a given. Having said that, we still advise every student to have a quick look at the transportation/transit section of the university website. That’s because most schools offer alternative transport programs that could save you lot of money. Examples include free campus shuttles, carpools/vanpools, rideshares, Zipcars, cheap bike rentals and major discounts on local transit passes. For example, a validated UTC ID card gives students unlimited free access on any citywide CARTA bus route. Many state and national carriers (e.g. Greyhound) also have deals for local college students. Always ask before you pay for your ticket. Everyone has the right to eat. In the past decade, campus food pantries have sprung up throughout Tennessee, including food banks at UTK, UTC, Tennessee Tech, APSU, Lee University and more. Some universities will even offer needy students free meal vouchers or leftovers from dining services. If you’re locked into campus housing, talk to someone at your Financial Aid Office—there may be ways to reduce your meal plan costs. When there’s nothing on campus, try your community. Both FoodPantries.org and HomelessShelterDirectory.org have directories of local food banks, and HUD.gov has contact information for Tennessee organizations that provide Meals, Food & Clothing. You can also see if you qualify for state benefits such as SNAP (food stamps) or the Tennessee WIC Program for new moms and moms-to-be. Memphis is the most affordable of the 3 big cities in Tennessee; the overall cost of living is usually significantly below the national average. Housing costs, in particular, are often very cheap. However, low rents tend to come with high crime rates, including violent crime. Public transport is provided by MATA, but UM students will tell you that buses are slow and bike lanes are hard to find. On the other hand, you’ll have plenty of low-cost entertainment options, including some fabulous music. General info for residents can be found on the City of Memphis website. Each year, the Community Foundation of Greater Memphis (CFGM) offers more than $115,000 in 25+ categories of college scholarship funds to students from the Memphis area. You’re welcome to apply for more than one, but you must submit a separate application and attachments for each scholarship fund. The Goodwill Excel Center is a free center that helps Shelby County adults 18 and older earn a high school diploma and create a career for themselves. Its partner, the Goodwill Job Center, offers job training programs, career assessments and free employment classes. DeNeuville Learning Center was created to support Memphis women. It offers classes in GED preparation, computers, ESL, job readiness and search assistance, money management and more. It also can also assist with child care support and emergency needs. Looking for a specific social service? The Shelby County Community Services Department has a list of helpful programs throughout the area. The United Way of Shelby County has a similar directory of local organizations (including low-cost daycare providers). Thanks to its music scene and bright reputation, Nashville is the most expensive city on our list of 3 cities. The overall cost of living is typically around the national average, with housing as the priciest category. As the city becomes more popular with graduates and millennials, rents are going up. Bike lanes are plentiful, but public transport is pretty much limited to MTA buses. TSU is on the outskirts of town, so you may need to budget for commuting costs. General info for residents can be found on the City of Nashville website. The Community Foundation of Middle Tennessee (CFMT) distributes 100+ college scholarship funds to Tennessee residents. Awards range from $500 to $2,500, though a few scholarships offer more. You only need to fill out one scholarship application in order to be considered for them all. The Urban League of Middle Tennessee (ULMT) helps African Americans and other disadvantaged persons achieve their dreams of college, economic self reliance, parity, power and civil rights. It runs a variety of college preparation programs and has Tennessee affiliates in Knoxville, Memphis and the Greater Chattanooga area. The Oasis Center has 21 programs for youth, including Nashville’s only crisis teen shelter and Nashville’s only college counseling center for first generation college students. The Nashville International Center for Empowerment is dedicated to helping refugees and immigrants throughout Middle Tennessee. Programs include education classes (e.g. GED, ELL, RISE), afterschool, workforce preparation and many immigration services. Looking for a specific social service? The United Way of Metropolitan Nashville has a long list of Nashville partner agencies (e.g. Goodwill, The Salvation Army, etc.). Nashville’s Metro Action Commission (MAC) can also connect Davidson County residents to community programs, resources and information. Home to UTK, Knoxville is a fairly affordable college town. The overall cost of living is usually below the national average, including the costs of utilities, housing, groceries, and transportation. To cover the city, Knoxville Area Transit (KAT) has more than 80 buses and road trolleys; downtown and UTK campus areas have bike lanes. Downtown is experiencing a resurgence, and there are plenty of cheap entertainment options. General info for residents can be found on the City of Knoxville website. The East Tennessee Foundation (ETF) administers 50+ college scholarship funds. Scholarships are available for all kinds of categories: specific schools and counties, extracurricular activities, potential/motivation and specific fields (e.g. business). You can apply for more than one scholarship, but you must complete and submit an individual scholarship application for each. The Centro Hispano de East Tennessee provides bilingual classes (e.g. ESL, GED test preparation, etc. ), legal advice, information & referral services, financial education and more to local Hispanic families. UTK’s Pre-College Upward Bound (PCUB) project is designed to help low-income, first-generation college students graduate from high school and to enroll in a postsecondary institution. Services include tutoring, ACT preparation, college and career information, instruction in academics, cultural enrichment and one-on-one social counseling. Project GRAD runs a similar K-16 program for students from kindergarten through college and beyond. Looking for a specific social service? The United Way of Greater Knoxville has a directory of useful partner agencies. The City of Knoxville has a similar social services directory.